By Leah Dobrinska. Sep 17, 2015. 9:00 AM. For the James Bond collector, acquiring a rare or unique copy of any number of the fourteen Ian Fleming classics is an accomplishment. 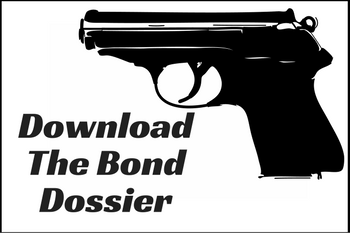 And, each individual Bond aficionado seems to have his or her favorite collection piece. Here, we’ve compiled a (subjective) list of the top five collectible James Bond novels. Did we include your top pick? If not, share what we missed in the comments below. It only makes sense to start at the beginning. Ian Fleming’s first James Bond novel, Casino Royal, published in 1953, is essential to any James Bond collection. Only 4,500 copies were printed on the first print run — the smallest number of first print run copies of any James Bond novel. Fleming was a relatively unknown author when he published Casino Royale, as well as the second novel in the Bond series, Live and Let Die. 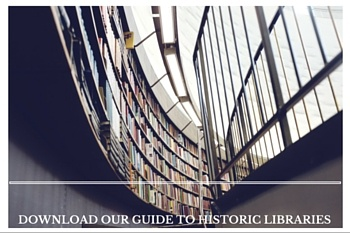 As a result, a sizable portion of the first edition copies of Casino Royale were distributed to libraries. These now ex-library copies are much less valuable than the remaining selection of first editions (and collectors should watch for attempted removal of library stamps or other altering to the original work in an effort to ‘restore’ an ex-library copy). 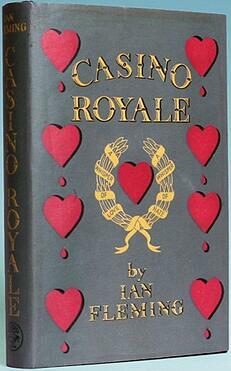 Acquiring a first edition of Casino Royale in its original dust jacket — without any library markings — is a feat. 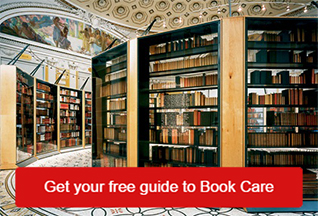 A book in fine or near fine condition with minimal rubbing and foxing can run a collector anywhere from $10,000 to $100,000+, depending on special markings, author inscriptions, etc. Casino Royale is the touchstone of a James Bond collection. 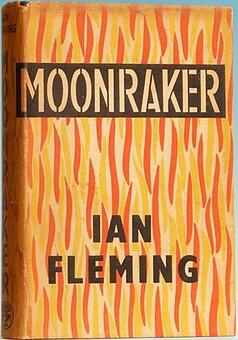 Moonraker, Fleming’s third installment in the Bond canon, is likewise an important acquisition for the Bond collector. 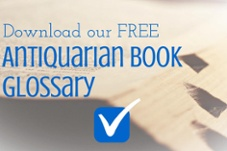 Published in 1955 by Jonathan Cape, the initial print run was only 9,900. Acquiring one of these first edition books in its original dust jacket is a collection treasure, and the Moonraker dust jacket sets this collectible apart. Its design, which includes yellow, orange, and white colored flames as the backdrop for the title text, is subject to sunning. In other words, due to its coloration, the dust jacket tends to fade and darken over time. Finding a first edition of Moonraker in its original dust jacket which still possesses each of the three colored flames vibrantly — meaning, the white flame hasn’t browned, and the yellow flame hasn’t faded away — is quite an accomplishment in the James Bond collecting experience. 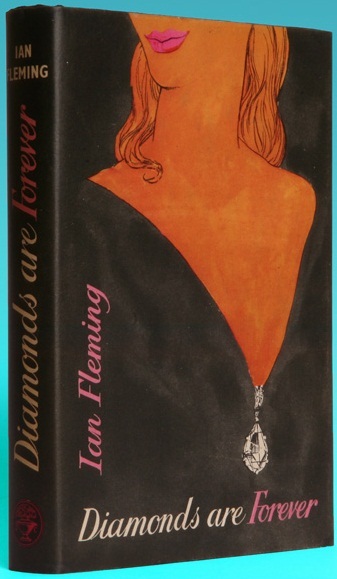 From flames to diamonds, it’s hard to argue with the pure aesthetic quality of a first edition copy of Diamonds Are Forever. Fleming’s fourth novel was first published in 1956, and 14,500 copies were printed. The book itself is black with a shading effect, thanks to delicate cross hatching. Front and center is a silver diamond, and the title on the spine is also silver. 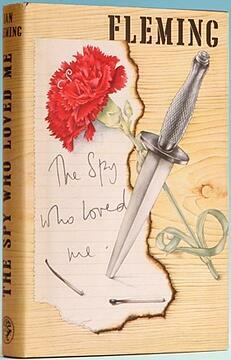 The original dust jacket is black and features Bond girl Tiffany Case. Some of the white or light colored text may be subject to fading and sunning, but finding a copy with crisp lettering is sure to make a beautiful addition to one’s collection. A first edition/first printing of Diamonds Are Forever with crisp corners and no writing or marks can cost a collector upwards of $15,000. And an association copy, despite showing signs of use, is worth a similar price. Published in 1962, The Spy Who Loved Me was Ian Fleming’s failed experiment. In fact, it’s the Bond novel he didn’t want us to read. Straying completely from his usual form, he tells this tale from the perspective of Vivienne Michel and doesn’t even get to Bond until mid-way through. Only 30,000 copies were printed initially, only about half of the amount that were printed on his previous novel, Thunderball’s, first print run. Thus, The Spy Who Loved Me is often considered to hold more value. The original dust jacket is a lighter color, and as such, finding a bright colored jacket of this book that Fleming tried to cover up is almost like doing your own bit of secret agent work. An association copy, or one with an inscription from Fleming himself, will sell for $25,000. Finally, Ian Fleming’s last official novel, The Man With the Golden Gun, published posthumously in 1965, is an essential pick for a list of top five collectible James Bond novels. Since it was published more recently and numerous first print run copies were made available (82,000), a James Bond collector may be able to come by a fine copy of this classic for less of a premium. 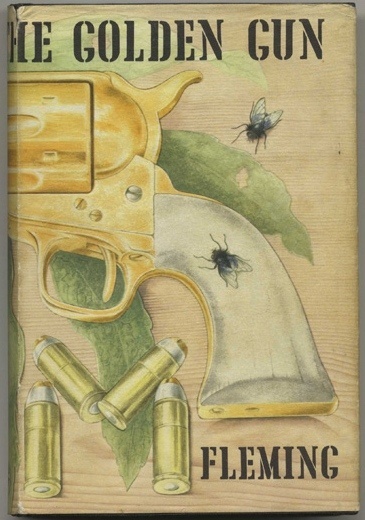 Many contest that The Man With the Golden Gun is not one of Fleming’s better efforts; the work itself seems almost unfinished and lacking the usual Bond book panache. Mostly, this is due to Fleming’s failing health as he worked out his final Bond tale. The fact that this is the last work Fleming touched before he died — even mentioned in his obituary — makes it a fitting piece to add to a comprehensive James Bond collection. What’s more, the first print run of The Man with the Golden Gun had an embossed gold gun on the cover (under the dust jacket). This was discontinued early, and so there are only a few copies on the market. The gun did not hold up well over time, so finding a pristine copy is very difficult and valuable.